More service members could be at risk of losing their security clearances if they don’t keep on top of their finances, because of changes in rules for the security clearance process, according to advocates. Under the new guidelines, officials will conduct “continuous” monitoring of federal employees who have roles in national security, including service members. Historically, individuals were up for periodic reviews every five to 10 years, depending on the type of clearance. The new, continuous evaluation will include a system that automatically pulls data on workers’ financial and criminal records, and, eventually, data from social media. “This new process might impact your DoD security clearance and prevent you from being deemed ‘deployable,’ which could greatly impact your military career unless you can prove to DoD that you were the victim of identity theft, fraud or a mistake, and that you’re currently living within your means and are making a good-faith effort to resolve your unpaid debts,” stated a recent blog from the Consumer Financial Protection Bureau. Under the previous system, service members and other individuals had more time to address financial issues after they arose, said Anthony Kuhn, an attorney with Tully Rinckey PLLC, who has extensive experience helping service members navigate problems involving security clearance suspensions and revocations. With the longer time between investigations, service members had time to catch up and put payment plans in place, and deal with late payments or missed payments, Kuhn said. Kuhn noted that there were well over 2,000 appeals related to security clearances heard by the Defense Office of Hearings and Appeals in 2017, and of the 13 adjudicative guidelines for security clearances, financial considerations alone accounted for more than 50 percent of the cases heard. “I expect that number is going to jump exponentially,” he said. Over the next three years, the Defense Department will take responsibility for all background investigations involving military and DoD civilian employees and contractors. Defense Department officials did not immediately have information on whether DoD has started the continuous evaluation process — or about how often the “continuous” monitoring will be conducted, or what could trigger the process to revoke a clearance. For example, would a bankruptcy automatically trigger it? How about being 60 days late paying a utility bill? “Basically, it’s really probably going to boil down to whether service members are living outside of their means,” said Kuhn. A financial flag could be as simple as being unable to pay taxes due, Kuhn said. He gave the example of owing more money than anticipated when filing the taxes. “Unless you quickly enter into a payment plan and can show a pattern of repayment, your taxes alone could end up causing you to fight to maintain your security clearance,” he said. Kuhn expects mechanisms to continue for individuals to respond to the government’s concerns, which usually begin with “interrogatories” from an investigator. “As far as I know, they’ll have the same due process protections,” he said, including the ability to appeal a decision to revoke the clearance. “But there will be a lot more financial consideration cases that the [Defense Office of Hearings and Appeals] will have to deal with, and [individuals] will have a more difficult time mitigating the government’s concerns in dealing with whatever issues arise,” he said. “The big thing to consider here is there’s much less expectation for privacy for service members or even federal employees with these security clearances because it’s a matter of national security, so the government tends to be able to get past that expectation of privacy. Don’t procrastinate. “If you know you’re going to be late on a bill, you should call your creditor,” Kuhn said. See if you can work out a payment plan, such as tacking on that payment to the end of the payment schedule. “Don’t wait. If you wait, that’s what your clearance is going to be revoked for. If you’re making a good faith effort to pay back the debt, and to keep your debt current, and you’re at least requesting and working on entering into a good payment plan, then I don’t see any reason why the clearance would be revoked," Kuhn said. .Monitor your finances. Check your accounts frequently to make sure no one is stealing from your bank accounts or credit card accounts, for example. Check your credit reports. You’re entitled to one free report each year from each of the three major credit reporting bureaus (Equifax, Experian, and TransUnion), through the website AnnualCreditReport.com. You can spread these three reports out through the year. Make sure the information is accurate, and quickly start to address any errors. Keep tabs on your credit score, which compiles information from your credit reports about your creditworthiness. Service members and spouses can get a free credit score provided by the Financial Industry Regulatory Authority Investor Education Foundation, by contacting a personal financial manager on your nearest installation. Consider putting a freeze on your credit reports, which keeps prospective lenders from gaining access to your credit information in order to open credit in your name — unless you lift that freeze. 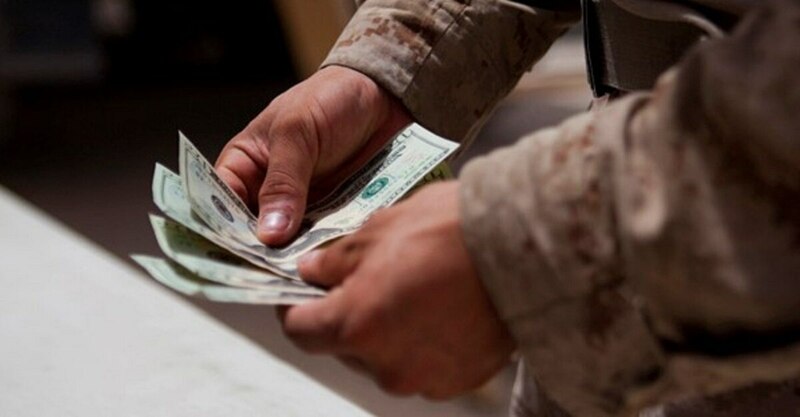 Active duty members who are deployed can also ask for a special “active-duty alert,” which requires creditors to take extra steps before granting credit in the service member’s name. If you have difficulty in clearing up errors on your credit report, submit a complaint to the Consumer Financial Protection Bureau. Two of the most reported issues to CFPB by service members, veterans and their families are problems with credit reporting and debt collection, according to CFPB.